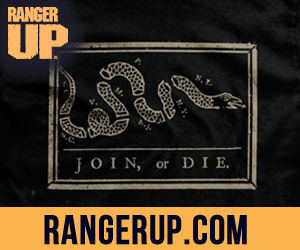 The folks at Ranger Up have done it again. Already well known for their t-shirts, bad (in the good way) attitudes, and ridiculous military music video parodies, RU has now launched an animated web series. RU released Episode 1 a couple of weeks ago to positive reviews. It features four iconic characters meant to represent the various branches of the Armed Forces. It’s definitely worth a watch if you haven’t seen it yet. The team at DBS wishes the best of luck to The Damn Few. I look forward to the characteristicly off-color RU humor that will surely take the spotlight in episodes to come. Welcome to the miltoon club! There’s nothing quite like some healthy competition. You’ll get whisky and like it! I feel like the seal would be an excellent canned tuna spokestoon… but what exactly is a buffalo meat snowman? Watch the second Episode here.